Information found at Environmental Protection Agency. The Antimicrobials Information Hotline provides answers to questions concerning current antimicrobial issues (disinfectants, fungicides, others) regulated by the pesticide law, rules and regulations. These cover interpretation laws, rules, and regulations, and registration and re-registration of antimicrobial chemicals and products. The Hotline also provide information health & safety issues on registered antimicrobial products, product label and the proper and safe use of these antimicrobial products. Fungal toxins, or mycotoxins, are biomolucules produced by fungi which can be toxic to animals and humans. Many fungal toxins interfere with RNA synthesis and can damage DNA. Aspergillus Flavus and Aspergillus parasiticus are strong carcinogens. Trichothecenes produced by Stachybotrys chartarium and Asperigullus versicolor were present in most samples of tested material and dust from buildings with current or past water damage. Of fifteen samples, nine of these came from buildings without visible damage or mould. 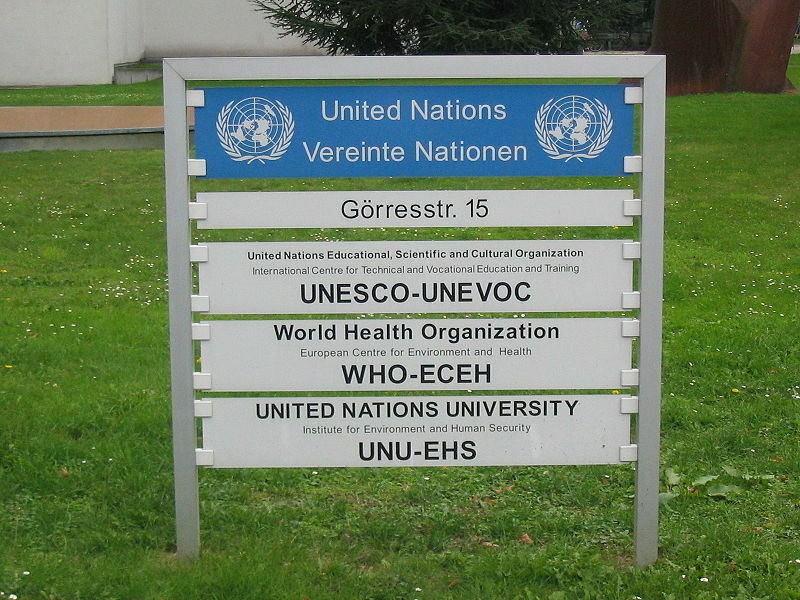 More Information available at World Health Organization. If you are unsure about mold issues in your building or home and your landlord refuses to take responsibility towards remediating the problem, you do have options. Contact your local board of health or housing authority. Health codes fall under state and local, not federal jurisdiction. Contact your state or county health department in order to read up on local codes and regulation in order to know your legal rights. Fungal species produce Type I allergens. Common indoor/outdoor species such as Alternaria, Pen icillian, Aspgillus, and Cladosporium cause allergic repertory disease, especially asthma. Pencillian and Aspgillus are also well-known causes of Type III allergens. And in high concentrations, Type IV allergens, hypersensitivity pneumonitius, are seen. Inside airways, germination and mycelia growth occur most which release greater amounts of spores, hyphae, and fungal fragments. Because these are well adapt at airborne dispersal, these are the most harmful fungal issues. If you are concerned about health problems that are associated with exposure to mold, you should first contact your family or general health care provider inorder to determine if you need a refer to see a specialist. Specialist include allergists, physicians who treat mold allergies, or an infectious disease physician, who treats mold infections. If the infection is located in the lungs, a pulmonary physician might be needed. On the basis of this review, the following guidelines were formulated. Persistent dampness and microbial growth on interior surfaces and in building structures should be avoided or minimized, as they may lead to adverse health effects. Indicators of dampness and microbial growth include the presence of condensation on surfaces or in structures, visible mould, perceived mouldy odour and a history of water damage, leakage or penetration. Thorough inspection and, if necessary, appropriate measurements can be used to confirm indoor moisture and microbial growth. As the relations between dampness, microbial exposure and health effects cannot be quantified precisely, no quantitative health-based guideline values or thresholds can be recommended for acceptable levels of contamination with microorganisms. Instead, it is recommended that dampness and mould-related problems be prevented. When they occur, they should be remediated because they increase the risk of hazardous exposure to microbes and chemicals. Well-designed, well-constructed, well-maintained building envelopes are critical to the prevention and control of excess moisture and microbial growth, as they prevent thermal bridges and the entry of liquid or vapour-phase water. Management of moisture requires proper control of temperatures and ventilation to avoid excess humidity, condensation on surfaces and excess moisture in materials. Ventilation should be distributed effectively throughout spaces, and stagnant air zones should be avoided. Building owners are responsible for providing a healthy workplace or living environment free of excess moisture and mould, by ensuring proper building construction and maintenance. The occupants are responsible for managing the use of water, heating, ventilation and appliances in a manner that does not lead to dampness and mould growth. Local recommendations for different climatic regions should be updated to control dampness-mediated microbial growth in buildings and to ensure desirable indoor air quality. Dampness and mould may be particularly prevalent in poorly maintained housing for low-income people. Remediation of the conditions that lead to adverse exposure should be given priority to prevent an additional contribution to poor health in populations who are already living with an increased burden of disease. Full publication available at World Health Organization. Commercial buildings and schools are areas of concern for public health. Mold detection and remediation is pertinent in order to insure the quality of health, especially for our children and elderly populations. When mold is found in public buildings, adverse health problems may be reported by occupants, employees, and general populations. Health issues may include allergies, skin irritations, and breathing problems. Serious problems may occur in circumstances where 1) children or elderly individuals, 2) individual with low immunity systems, 3) individuals with other health issues such as asthma, or 3) toxic molds are present. Article information found at Environmental Protection Agency. The Center for Disease Control does not recommend sampling and testing of mold. It is not necessary to identify the species of mold. Most species of mold cause allegies and other health risks of the respiratory systems. If you are susceptible to mold and mold is seen or smelled, you will run significant health risks. Regardless of the type of mold that is present, you should arrange for removal and remediation, which doesn’t involve testing but locating the source of the moisture which allows the mold to cultivate. The conditions that contribute to the health risk were summarized as follows. The prevalence of indoor dampness varies widely within and among countries, continents and climate zones. It is estimated to affect 10–50% of indoor environments in Europe, North America, Australia, India and Japan. In certain settings, such as river valleys and coastal areas, the conditions of dampness are substantially more severe than the national averages for such conditions. The amount of water on or in materials is the most important trigger of the growth of microorganisms, including fungi, actinomycetes and other bacteria. Microorganisms are ubiquitous. Microbes propagate rapidly wherever water is available. The dust and dirt normally present in most indoor spaces provide sufficient nutrients to support extensive microbial growth. While mould can grow on all materials, selection of appropriate materials can prevent dirt accumulation, moisture penetration and mould growth. Microbial growth may result in greater numbers of spores, cell fragments, allergens, mycotoxins, endotoxins, β-glucans and volatile organic compounds in indoor air. The causative agents of adverse health effects have not been identified conclusively, but an excess level of any of these agents in the indoor environment is a potential health hazard. Apart from its entry during occasional events (such as water leaks, heavy rain and flooding), most moisture enters a building in incoming air, including that infiltrating through the building envelope or that resulting from the occupants’ activities. Allowing surfaces to become cooler than the surrounding air may result in unwanted condensation. Thermal bridges (such as metal window frames), inadequate insulation and unplanned air pathways, or cold water plumbing and cool parts of air-conditioning units can result in surface temperatures below the dew point of the air and in dampness. First rule: Mold will not grow if moisture is not present. Airborn mold spores spread from the outdoors to the indoors landing on surface material. If any moisture or water vapors are present, mold will cultivate. If you see mold growing in your home, you already have a serious problem that must be addressed. Because the spores are microscopic, only large colonies are visible to the eye. The mold must be removed and the water problem fixed to prevent recurrence. To anyone who has worked with mold knows that the symptoms this man describes in the following article are very common and very real. Mold can make you sick. If the area to be cleaned is more than 10 square feet, consult the U.S. Environmental Protection Agency (EPA) guide titled Mold Remediation in Schools and Commercial Buildings. Although focused on schools and commercial buildings, this document also applies to other building types. You can get it by going to the EPA web site at http://www.epa.gov/mold/mold_remediation.html . 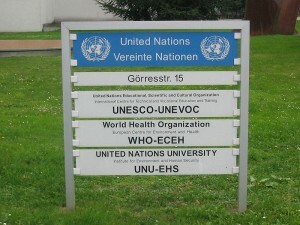 Sufficient epidemiological evidence is available from studies conducted in different countries and under different climatic conditions to show that the occupants of damp or mouldy buildings, both houses and public buildings, are at increased risk of respiratory symptoms, respiratory infections and exacerbation of asthma. Some evidence suggests increased risks of allergic rhinitis and asthma. Although few intervention studies were available, their results show that remediation of dampness can reduce adverse health outcomes. There is clinical evidence that exposure to mould and other dampness-related microbial agents increases the risks of rare conditions, such as hypersensitivity pneumonitis, allergic alveolitis, chronic rhinosinusitis and allergic fungal sinusitis. Toxicological evidence obtained in vivo and in vitro supports these findings, showing the occurrence of diverse inflammatory and toxic responses after exposure to microorganisms isolated from damp buildings, including their spores, metabolites and components. While groups such as atopic and allergic people are particularly susceptible to biological and chemical agents in damp indoor environments, adverse health effects have also been found in nonatopic populations. The increasing prevalences of asthma and allergies in many countries increase the number of people susceptible to the effects of dampness and mould in buildings. Mold growth on paneling or other well treated wood is more rare than mold growth on drywall or carpet. Modern paneling though is not treated as thoroughly as it used to be and will allow mold to grow on its surface. Indoor dampness levels were recorded at a level of 10-50%, prevalent in office buildings, day cares, and schools. High humidity, condensation, and water damage, either past or present, promote the survival and growth of fungi which result in higher exposure to fungal allegens, toxins, and irritants. These damp environments also cause bacteria endotoxins. The damp materials also increase their chemical degradation resulting in more emissions of volatile organic compounds, such as formaldehyde. As many people know, molds are a common cause of outdoor allergies. However, indoor allergies are also caused by reactions to mold colonies that are not visible to the eye. All molds have the potential to cause health problems, specifically allergies, irritations, and sometimes toxins. Allergic reactions are caused by inhalation of spores. Symptoms include sneezing, runny nose, eye irritation, and sometimes skin rashes in external reaction. These reactions may be immediate or delayed. Mold is also a common cause of asthma attacks. The effects of mold on individuals is an ongoing health issue.